Serum with a filling, smoothing as well as regenerating and firming effect. In just a few minutes from its application, it smoothes out wrinkles and expression lines, relaxes facial features, reduces signs of fatigue. 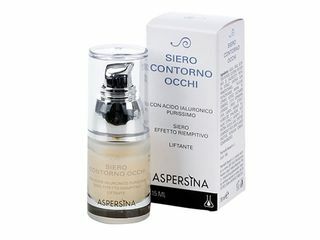 A concentrate of energy and youth, it is the perfect cosmetic product for a deep regenerating action. 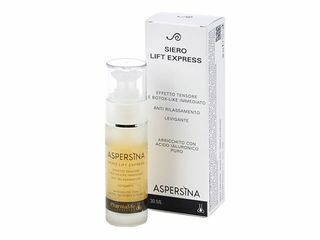 Aspersina Lift Express is an anti-age, regenerating and compacting serum which guarantees a durable contribution of active substances on all skin levels to give compactness and elasticity. It reduces wrinkles and redefines contours. A few minutes after use tiredness signs on skin disappear. Daily use quickly results in smooth, young-looking, moisturized, fresh and radiant skin. 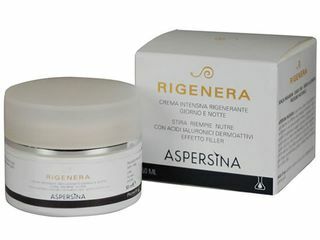 ASPERSINA REGENERATE is recommended for: smoothing, filling and nourishing the skin, reducing facial wrinkledness, reducing crow’s feet, redefining facial contours, improving the tone, firmness and softness.